Low latency has become a hot topic within the streaming world. No one wants notably high latency, of course, but what does low latency really mean? And in what contexts does low latency truly matter? 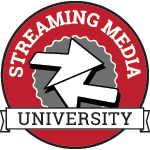 This session uncovers how low-latency streaming works and why latency is a business-critical consideration using streaming use cases where low latency is undeniably important. We are starting to see momentum gather for online video: cable subscribers are declining and online video consumption is increasing. But the two experiences, watching TV and watching online video, aren’t the same yet. Broadcast television generally has better quality, more consistent delivery, and improved customer service. Yet the allure of anytime, anywhere access from any device is driving consumer behavior towards OTT services like Netflix, Hulu, HBO, and more. In this panel, we’ll talk about what it might take to get parity between the traditional television experience and streaming video. 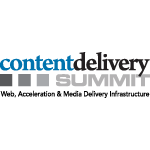 Delivering content that is adapted to a multitude of content, devices and network conditions is a challenge. While adaptive bitrate is often explored from a compression standpoint, the ABR logic within your video player makes important decisions that can make or break QoS. Striking a balance between the achieving the highest resolution without causing stalls is a complex task, and the optimal solution can vary greatly depending on audience, bitrates and stream types. This how-to examines the ins and outs of ABR logic. We review the basics of how web and mobile players handle ABR before diving in to the different ways these algorithms are built. Lastly, we offer practical advice on how to optimize QoS with just a few tweaks of your player. Learn how to develop a cost-efficient, practical and scalable viewership growth strategy through new streaming television platforms (OTT/ConnectedTV) across all leading platforms such as Roku, Amazon FireTV, AndroidTV, AppleTV, SmartTVs, Gaming Consoles and Social Networks. Receive insights from the fastest OTT/ConnectedTV developers, explore best practices, learn how to avoid costly detours and delays, and secret tricks on how to boost viewership growth without spending money. Delivering OTT video is a complex process involving many challenges such as new standards, varied end-user devices, and changing video production and delivery formats. To deliver high quality OTT content, Broadcasters and Video Service Providers need enterprise class, end-to-end QC and monitoring tools. Using the right tools for live and VOD workflows at ingest and origin server will help assure superior QoS and QoE in the most efficient manner. In this session, we will discuss how this can be achieved. In just the last year, NeuLion streamed over 12 billion minutes of video, across 63,000 live events to consumers in over 180 countries. Using insight of the aggregate data from its customers and real live OTT success stories in marketplace, learn how to leverage data to attract new subscribers and reduce subscriber churn. As live OTT and TV Everywhere services grow, understanding sharper insights and intelligence to stay competitive in today’s data-driven world are important. Learn how to keep your OTT viewers for life. NeuLion customers include the NFL, NBA, World Surf League, Univision Deportes, Euroleague Basketball and others. Specialized customizations that are key for live video- player features that support multiple camera angles, frame-accurate live clipping for social distribution, etc. This presentation will detail how Gogo is streaming live TV to planes using HEVC and their approach in reducing bitrates without sacrificing QoS. With real estate space on planes in short supply, Gogo will discuss how technological advances such as HEVC and statistical multiplexing is helping to put live streaming on a plane. This case study will also detail how to achieve the challenge of monetize an OTT platform for consumers that demand more live content, be it their favorite soccer team or a presidential debate. As 360 streaming and immersive VR experiences gain popularity, it presents unique set of challenges in the delivery pipeline. This talk dives into those challenges; starting from delivering 6 times data compared to traditional 4K quality in 360, to processing this data on the client playback browsers and mobile devices. Learn about different projection formats, compression, tiles based streams, and field of view adaptive streaming on the player side. You will also learn how the WebVR standards enables 360 streaming across VR devices, and the challenges and workarounds Yahoo has implemented to support 360 viewing across browsers like Edge and Safari on mobile. The worst way to find out that viewers aren't having a good experience is via angry support emails or Twitter. If you have the right data at hand, getting out in front of problems your viewers might be seeing is crucial to keeping viewers happy and watching. This discussion will dig into real world examples and approaches to collecting, utilizing, and making QoE data actionable in order to improve the viewer experience. Facebook Live is currently one of the hottest platforms for broadcasting live on the Internet. Hear real-world results from The Humane Society of the United States, who has been live-streaming (via Facebook and YouTube) for years. Hear how they have gone live from various corners of the globe, with varying levels of success — and learn from their failures, and borrow from their successes. Along with the analytics, learn what they have found are the best practices for broadcasting on Facebook including content choice, engagement rates, securing donations and other best practices. From innovative apps that can be powered by an iPhone to increasingly high-quality rigs that make local video look like it was shot by a pro, we are on the precipice of an explosion of compelling video that will be streamed live, both by entertainers and people in communities everywhere. Both established and new media is well-positioned to capitalize on this emerging opportunity, leveraging events that span local music, sports, and community meetings. The session will explore the opportunities to monetize these events and what partner opportunities and strategies could help. 360 and VR video are one of the major topics in the industry this year. This panel will discuss which platforms content provider are targeting, i.e. Web, Smartphones, or VR head-sets. 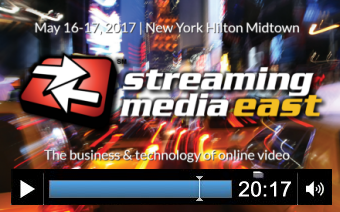 In particular the panel will discuss which projections, streaming formats, and rendering techniques are used to stream content today. It will also discuss how new codecs like HEVC, VP9 or AV1, or new streaming standards like Omnidirectional Media Application Format (OMAF) of MPEG will enable better quality and new use cases. Viz Story. Create Anywhere. Share Everywhere. Viz Story allows media companies to quickly create compelling video stories with full real-time, state of the art 3D graphics and easily distribute them online and to social media. How can I build an end-to-end interactive live streaming solution that is lightweight, cost-effective, easy to scale and robust? Creating low latency, live streaming applications for apps and plugin-free HTML5 is hard. Learn how to combine WebRTC, RTMP and low-latency HLS with nanoStream’s H5Live player to create your own ultra-low latency interactive solution for encoding, streaming and playback. Join our session to get a complete picture! Attend this session for your chance to win: Free setup and usage of nanoStream hosted server on your own private instance or free consulting and testing of nanoStream Cloud for one month including WebRTC+H5Live. Content will always be king, but user experience is queen. If you don’t give your viewers interactive, easy-to-use players that put them in control and let them become part of the experience and connect on social media, they’ll go elsewhere. Find out how to make sure your user experience complements your content and gives viewers a reason to stick around. 12:45 p.m. - 1:05 p.m. The volume of content being brought online coupled with the increase in video processing to serve device-based consumption will far outpace content companies’ managed workflow growth, creating a need to expand encoding and streaming workflow capacity. 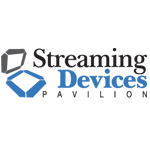 Bitmovin will discuss this challenge, its hybrid cloud workflow and common myths regarding cloud-based encoding solutions. Successfully stream high-quality near-live content over the Internet can quickly become a near impossible task. Bad network conditions, latency and distance are known to dramatically impair video streaming. Various products and services have been introduced, such as forward error correction over UDP, peer-to-peer distribution and CDNs. However, none provide the same universal quality and "zero-delay" transmission needed for a great experience. Aspera FASPStream is the first open video transport solution capable of live streaming high-quality video globally over commodity Internet networks with low buffering and negligible start-up time. This session will outline how to integrate the Aspera fasp.io software suite with standard RTMP, HLS and DASH workflows on browser, desktop, mobile and set-top box platforms. Choosing the number of streams in an adaptive group and configuring them is usually a subjective, touchy-feely exercise, with no way to really gauge the effectiveness and efficiency of the streams. However, by measuring stream quality via metrics such as PSNR, SSIMplus, and VQM, you can precisely assess the quality delivered by each stream and its relevancy to the adaptive group. This presentation identifies several key objective quality metrics, teaches how to apply them, and provides an objective framework for analyzing which streams are absolutely required in your adaptive group and their optimal configuration. Virtual reality innovation has been focused on delivering immersive video experiences, and sports will likely become a popular use case for VR. However, the real game changer will be in giving users even more control over the viewing experience. This session will explore the directions for VR technology, and how content owners and service providers can develop interactive, more personalized VR experiences. It will discuss how VR services could take the form of an interactive timeline, whereby users can pick specific events within a game and interact with them at their leisure. Should you buy or build the video player of your video service? It's a key question every video service should answer when planning for a future full of video content, interaction and consumer engagement. As the video player is a critical part of the viewer experience, it is often seen as a key asset of the video service, resulting in a decision to build it in-house. But what is the true cost of building an in-house video player solution? And why do some video publishers, telco’s and broadcasters opt for buying a video solution in the interests of development and maintenance cost, scalability and quality of experience? During this session Pieter-Jan Speelmans will explore pros and cons of both options and will discuss with you how you can maximize your strategic investment. Today very little Premium Video traffic is viewed primarily using IP delivery technologies. Primarily because users aren’t as satisfied with the quality of the delivery when compared to traditional Broadcast delivery. In this session we will discuss how close this “Quality” gap and even have IP delivery surpass the quality levels associated with Broadcast. Facebook Live is a year old, YouTube Live has upped its game, and Twitter has partnered with top sports, news, and entertainment outlets to stream on its platform. What sort of ROI can publishers achieve with an effective social streaming strategy? What sorts of production workflows work best? This panel discussion will bring together leading brands, media companies, and influencers to share their social media streaming stories and discuss what they’ve learned and what their plans are for the future. It doesn’t matter if you are a global media powerhouse brand or a startup content producer looking to find your niche, everyone needs the right strategy to reach consumers. Often times, managed services is the most efficient way to enable content owners to focus on creating the best programming and growing the business while leaving the infrastructure and technical operations to someone else. OTT best practices, use cases and lessons learned will be shared during this informative session. Digital ad rates are insufficient to support quality production, so how will TV online be monetized? Learn from a panel of media executives on how to survive the shift from 30-second ad spots and thrive with ad-blocking consumers. The session will discuss effective ways to measure engagement besides reach and viewing time and how to monetize content distributed across multiple platforms. We'll also touch on the impact of social media networks on online TV and emerging methods for viewer engagement and loyalty. Come debate where the market is headed for subscription and pay per view monetization of online video. The principle beneficiary of cloud deployments to date has been OTT distribution, but many are seeing an equally rapid and widespread transformation occurring in production provision. Ian Trow, Sr. Director Emerging Technology and Strategy, will spotlight deployments where cloud provision is most effective, areas where development will be concentrated, and functionality that will be beyond the reach of cloud. Explore how Globecast, a subsidiary of Orange, S.A. and leading global provider of media management services to broadcasters, programmers, platform providers, and distributors is tackling the opportunities and challenges presented by the virtualization of content and cloud-based services across its global facilities. As big as live streaming is now, that’s nothing compared to the growth we can expect in the next 5 years. Today, viewers expect instant-on, HD quality on every device, but as technologies like VR gain traction, they’ll expect more immersive experiences. This forward-looking panel discussion digs in to predict what the future holds for content, technology, and monetization.